Vihara Buddha Gotama is a 15-acres forest monastery founded in 1998 mainly for the study and practice of the Buddha's discourses (suttas), monastic discipline (vinaya), and meditation, according to the original teachings of the Buddha. It is open to monks and nuns (maechees or anagarinis), and also laymen and laywomen. This Vihara caters mainly to the residential community of monks and nuns, and those training to be monks and nuns. Thus, the daily schedule includes about 4 hours of group meditation, 2 hours of work, and 1 hour of Dhamma-Vinaya study and discussion. Address: Jln. Kapten Piere Tendean Gg.Vihara No.37 Rt: 41/13 Banjarmasin 70112 Kalimantan Selatan, Indonesia. Vihara Giri Manggala adalah salah satu vihara besar yang berada di Pulau Bali, tepatnya di bagian utara yaitu Singaraja, Buleleng, Bali. Untuk menuju vihara ini dapat ditempuh 2 jam dari Denpasar (Ibukota Provinsi Bali) melalui jalur Kebun Raya Bedugul atau jika Anda menempuh jalan darat dan menyeberang dari Banyuwangi, Jawa Timur (Pelabuhan Ketapang) ke Pelabuhan Gilimanuk di Bali, vihara ini dapat dicapai sekitar 1,5 jam dari Gilimanuk tersebut. Selama perjalanan dari Gilimanuk, Anda akan disuguhkan panorama Taman Nasional Bali Barat (TNBB). Perjalanan menuju Vihara Giri Manggala dari Gilimanuk akan melewati kota kecil bernama Seririt. Hingga saat ini (13-Mar-2015), di wilayah Buleleng sendiri terdapat beberapa vihara dan cetiya, yaitu : Vihara Giri Manggala (Alasangker), Vihara Velluvana (Bontihing), Vihara Samyag Dharsana (Petandakan), Vihara Samyag Dresti (Penglatan), Vihara Buddhavamsa (Kota Singaraja), Cetiya Buddha Manggala (Kota Singaraja), Vihara Dharma Ramsi (Pemaron), dan Brahma Vihara Arama (Banjar). Masih ada destinasi vihara-vihara megah dan artistik lainnya di Pulau Bali yang sayang jika Anda lewatkan saat berkunjung ke Pulau Bali. Anda dapat menghubungi Sdr. Aji Nugroho, S.Ag. di (+62) 877-6255-9297 untuk informasi dan merencanakan kunjungan Anda ke Vihara Giri Manggala dan berkeliling Pulau Bali yang menakjubkan! 3. Young Buddhist Generation - meets every Sunday for Dharma Assemblies and Dharma Class/talks from 9 to 11 am. 4. Buddhist Cultural Center - We offer programs on Buddhist Choir, Buddhist Dances, Barongsai Dances etc. 5. Dharma Classes: are offered regularly by resident monks and visiting monks or teachers from overseas. 6. Buddhist Library: opens every Sunday from 9.30 am to 12.30 pm - We offer devotees a very good collection of Dharma books, Mahayana Sutras and explanation, VCD, CD and cassettes on Dharma Classes and Dharma talks. 7. Indonesian Buddhist Magazine (Majalah Buddhis Indonesia) monthly published in Indonesian Language. The magazine was established since 1991 with the objective of providing Dharma teahings and news on Buddhist activities in Indonesia and around the world. Also to promote Buddhist Culture and Buddhist Way of Life. 8. Free Dharma books and Sutras: are published regularly for public free of charge. 9. Regular meditation class (on a weekly basis). 10. Regular Atthasila Program under strict supervision of resident monks. (2 days and 1 night stay at the temple). 11. Every Friday free chanting/praying for cancer patients at the Cancer Hospital in Jakarta. 12. Free chanting/praying/blessings at request for wedding couples, suffering patients at various hospitals, funerals, etc. - donation to charity institutions, homeless kids, old folks. - providing homeless children school fees, school books, school stationery (currently, 150 children enjoy this program from our temple). 14. Translation of Buddhist Books from foreign languages into Indonesian or Mandarin. All regular Dharma Assemblies are conducted in Mandarin Language. Dharma Assemblies held on Sundays and Sunday Dharma Classes are conducted in Sanskrit language and Bahasa Indonesia (Indonesian Language). Tanah Putih Temple is the beginning of Sangha Theravada Indonesia. This temple currently function as administrative and transit for Indonesian buddhist monks. Address: Jln. Ir.H.Juanda, Bandung West Java, Indonesia. Vihara Vimala Dharma is a Buddhayana temple. It holds Puja every Sunday morning at 8 a.m. The Puja is in Pali, with Indonesian translation. Afterwards members of the Buddhist Youth generation meet to discuss the Dharma. Many of them are quite fluent in English, and would welcome any English speaking visitors. They can also introduce you to English-speaking monks, based both here in Bandung and in other parts of Java. Address: Dhamma Giri; P.O. Box 6 Igatpuri 422 403 District Nasik; Maharashtra; India. Meditation System: As taught by S.N. Goenka. In a ten day retreat, meditators begin by undertaking the Five Precepts of moral conduct as the basis for their practice. They work to concentrate the mind by focusing on the natural breath at the nostril. Once sufficient concentration is established, they proceed to the technique of Vipassana proper: They explore their mental and physical nature by moving attention systematically throughout the body, dispassionately observing the physical sensations that occur. This ever-deepening introspection sets in motion a process by which past conditioning of the mind is eliminated layer by layer. The course concludes with the practice of Metta Bhavana, the mental sharing with others the benefits meditators have gained by their practice. Intensive silent retreats are open to the general public. The usual course format is ten days. There is no charge for the teaching. Donations are accepted from participants only to cover room, board, and other operating expenses. Most courses are conducted by authorised assistant teachers. Teacher: Sayadaw U Pannananda, a disciple of Venerable Sayadaw U Pandita. Meditators are welcome to the centre anytime to practise, either individually or in groups for retreats. Offering courses in Vipassana Meditation as taught by the late S.N. Goenka in the tradition of Sayagyi U Ba Khin. Vipassana, which means to see things as they really are, is one of the most ancient techniques of meditation. The Buddha taught it in India more than 2500 years ago as a universal remedy for universal ills, an Art of Living. To those who are not familiar with Vipassana Meditation we recommend visiting the International Vipassana Website for an introduction. To learn Vipassana Meditation one needs to develop ones own experience during a residential ten-day course. Courses are held several times a year in Singapore. To apply for a course and to understand the requirements, please read the Code of Discipline and find a convenient date in the Course Schedule. If you will be attending a course, please review the Course Checklist for items to bring with you, general instructions, information on how to get to the course. There are no charges for the courses, not even to cover the cost of food and accommodation. Courses are run solely on the donation from old students. All the related expenses are fully met by donations from those who have completed a course experienced the benefits of Vipassana, and wish to give others the same opportunity. Neither the teachers nor the course helpers receive remuneration; they and those who organise the courses volunteer their time so that more people can experience the peace and harmony. Courses are usually held at St Johns Island which is located approximately 6.5km south of Singapore. The course site is located on the north-western part of the island. Accommodation facilities are dormitories with shared common bathrooms and toilets. The center caters for zen meditation techniques with emphasis on the Hua Tou Chan method and Tibetan Great Perfection Meditation. The Master - Ven. Hui Men has conducted numerous retreat in Taiwan, Malaysia, Singapore, Canada, USA and New Zealand. Spiritual Director: Venerable Luang Phor Hong Dhammaratano (Phra Dhammaratano Bandit). Wat Ananda Metyarama is the oldest Theravada Buddhist tradition Temple in Singapore. It was completed in 1925 with a land area of 18,317sq. feet. Formerly located at 83 Silat Road, Singapore, the new address is 50-B Jalan Bukit Merah, Singapore 169545. The founder of Wat Ananda Metyarama is Venerable Luang Phor Hong Dhammaratano (Phra Dhammaratano Bandit). He came to Singapore in 1920 with his disciple, Samanera Boonler. Upon noticing that there is no Theravada temple in Singapore at that time, they aspired to build one. Venerable Luang Phor Hong Dhammaratano passed away on 10th November 1952 and was cremated on 16th November 1952 by Thai Consul’s General PhrayaSrisayamcit with Thai Groups. Venerable Phra Rajayankavee took over as his successor and revonated the temple in 1953. He served as the Chief Abbott twice; in between which Venerable Phra Maha Amnad Ithiyano took over. Venerable Phraku Bisaldhammanides succeeded him and started the Youth Circle in 1966 (which is the first registered Buddhist Youth Circle in Singapore). Venerable Phraku Bisaldhammanides left for Bangkok in 1974. Taking over his position is our current Chief Abbott, Venerable Chao Khun Phra Tepsiddhivides. Greatly revered for his ceaseless efforts to promote Buddhism, to teach the Dhamma and to give counsel and comfort to devotees and others, Venerable Chao Khun Phra Tepsiddhivides is also representing as one of the Buddhist religious leaders involved in the Inter-Religious Organisation (IRO), an organisation that promotes religious understanding and harmony in Singapore. This group has a regular program of Meditation (group sittings); Morning Chanting; Dharma Talks (English or Mandarin); Adult Dharma Courses and Devotional Hymn Singing). United States on Buddhist missionary duties for 2 years and has been teaching meditation at Wat Bhaddanta Asabha Theravada for 5 years now. giving meditation reports. All meditators must keep the eight training precepts. Meditators need only bring conservative clothing (preferably white colored clothing), personal hygiene accessories and essential medication. Being a voluntary and non-profit organization and in the spirit of compassion and kindness to both serve and provide shelter, education and care to the underprivileged members of the community. Wat Botworadit depends of the continuous generosity and kind contributions of volunteers and donors to sustain the operation of our various activities and programs. It is in the centre of Phnom Penh, near all the hotels, so it is not hard to find. As well as having English speaking monks, its courtyard is used as an English Conversation Practise area by students from all over the city. Location: In Bihar Sate. Bodhgaya is 13km. from Gaya and auto-rickshaws shuttle back and forth. They start from the Kacheri in the city centre at Gaya. Buses depart less frequently. A traditional Thai Buddhist Temple celebrating all the local festivals and customs. The spiritual mandate of the temple is to immerse the body and soul in the healing waters of Dhamma. Visitors are welcome. Welcome to the new Vietnamese Mahayana Buddhist Temple in Chiangmai, Thailand. The newly open Temple for everyone. We are proudly present the first Vietnam temple recently built in Chiangmai, Thailand. About 30km to the North form the city center, Wat Pa Sukawadee has a spectacular natural landscape, tumor status with old trees, high horns, the forests; a lotus pond reflects the beauty of the temple with streams and waterfalls. Wat Pa Sukawadee is a ideal place for those who want to retreat and meditate. Our main goal is becoming an international Buddhist learning, researching center and practicing either short term or long term retreats. We provides all needed facilities for anyone who sincerely wish to study and follow Buddha path. Located: North of Samoeng Village. in the midt of forest, Olong tea plantation and stream. Practitioners from beginners to advance are allowed flexible meditation methods, however, Vipassana or Mindfulness on Breathing is the mainstream of practice here. Proper meditation instructions, as well as appropriate views on natural laws and phenomena are provided to the lay communities by Thai-English speaking monks. Two vegetarian meals will be served per day . Wat Pa Tam Wua is on the 1095 road between Mae Hong Son and Pai. It’s about 2 hours from Pai and 1 hour from Amphur Mueang. Located 37 kilometres from the city of Mae Hong Son, Tam Wua is home to one of most tranquil monastic heavens of Thailand. A place of meditation, refuge and self-discovery. Tam Wua Forest Monastery is a place where mediators world-wide have come to call “A home away from home”. 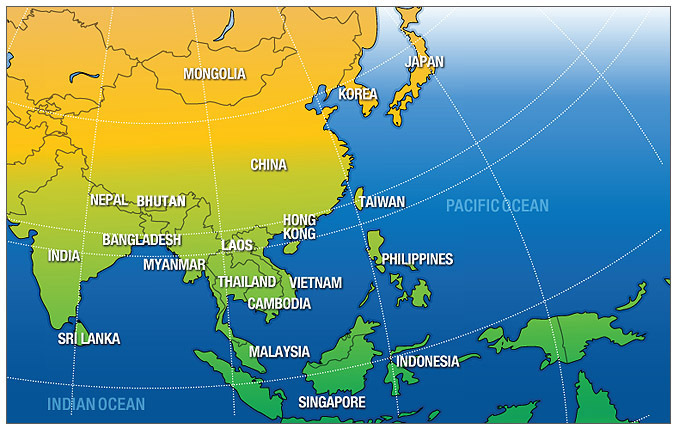 Located 564 km northeast of Bangkok and 16 km southwest of Udon Thani. Take a local bus, or taxi from Udon Thani south 8 km to Ban Gum Kling, then turn southwest 7 km to Ban Thad and continue one km to the Wat. Some buses go direct to Ban Thad from Udon and may even drop you off at the Wats entrance. Samlor drivers in Udon usually know where the local bus departs from. DIRECTIONS: Located outside the city of Ubon Ratchathani, about 60 km northeast of Bangkok. From Ubon, go southwest 12 km to Ban Bung Wai on the highway to Si Saket, then follow signs west one km through rice fields to the forest and wat. You can take a Si Saket bus from Ubon and ask to be let off at Wat Pah Nanachat or you can take a city bus 2 km south across the Mun River to Warin and get a songtaew from the market area. Trains arrive in Warin; walk 20 minutes east into town to catch a songtaew. Easiest of all is just to take a tuk-tuk or taxi at the train or bus stations or airport. Several fast trains provide daily service from Bangkok, including an overnight express, which offers comfortable 2nd class sleepers. Many air-conditioned buses with reclining seats depart Bangkoks Northern (Moh Chit) Bus Terminal for the day or overnight journey.